IT’S here. 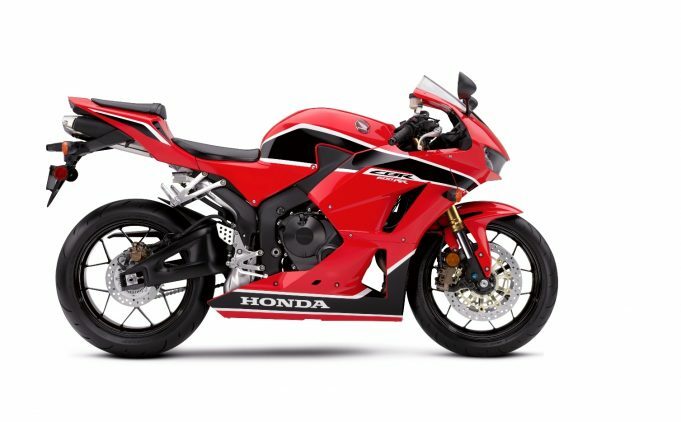 The 2017 edition of the Honda CBR600RR has infiltrated the Australian market and is ready to ride in the same exciting colour as the wicked new CBR1000RR Fireblade (Victory Red). A little under $15,000 will get you on board the new 600RR, which features adjustable Showa Big Piston Fork (BPF) front suspension and Unit Pro-Link rear suspension, as well as aerodynamic bodywork for optimum wind deflection to enhance rider comfort. Contributing to the CBR600RRs superb handling is the compact liquid cooled 599cc, DOHC 16-Valve inline four-cylinder power plant, with a centrally located ram-air intake system which delivers mid range power and good throttle response in the high-rpm range. The 2017 CBR600RR opts for blacked out styling from the swing arm through to the exposed engine through the body work. Whether it’s at the track or for a fun afternoon ride on winding back roads; the CBR600RR is ready to show off. For more information on the entire Honda range visit your nearest Honda Dealer. THE eagerly anticipated Lexus UX urban compact crossover has broken cover, featuring a muscular new look and bold styling, with the reveal coming just days ahead of its world debut at next week's Geneva Motor Show.